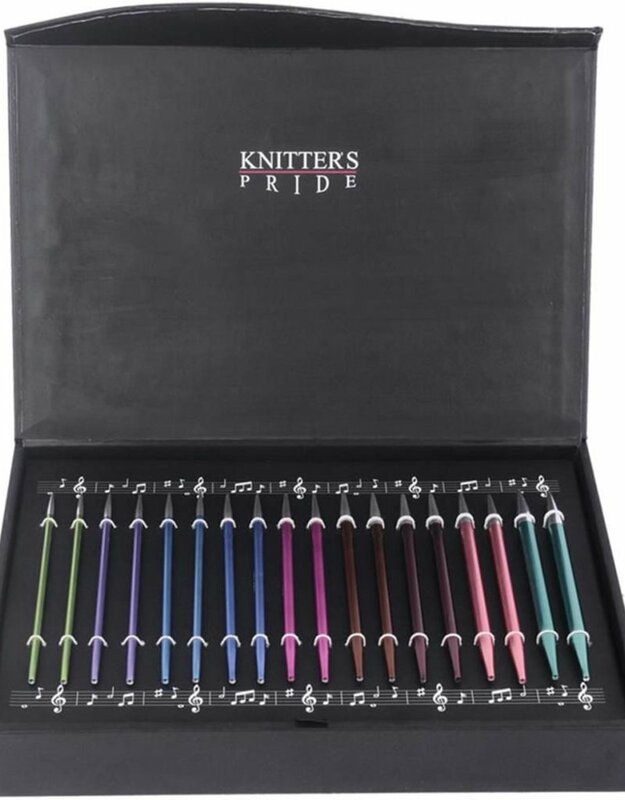 Knitter's Pride-Melodies Of Life Zing Interchangeable Needle Set. This specially designed box showcases the most useful needle sets! Perfect for any knitter! 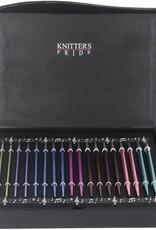 This package contains nine pairs of needle sets interchangeable needles in sizes 4, 5, 7, 8, 9, 10, 10.5 and 11, four cords to create needle lengths of 24, 32 and 40 inches, eight end caps, four cord keys, one set of cord connectors, wool needles and stitch holders within one 7x10-1/2x1-1/2 inch storage box. Imported.